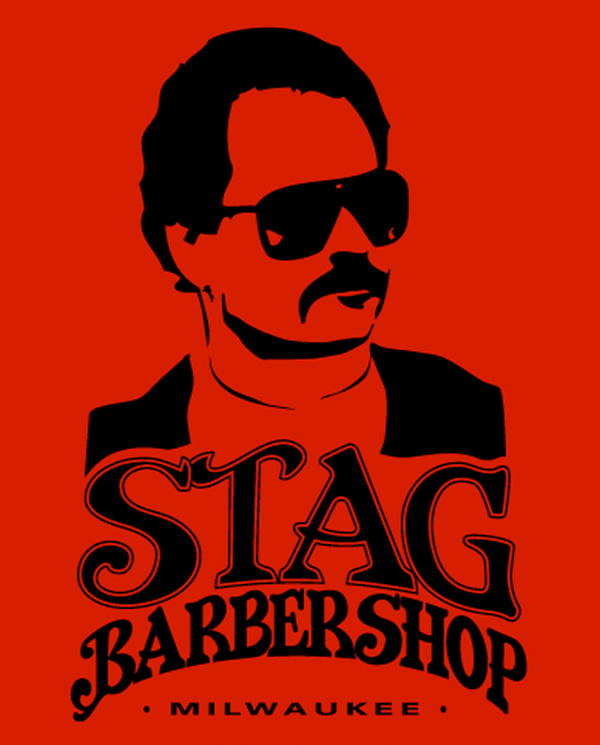 Yesterday I finally took the opportunity to check out Stag Barbershop, and as far as first impressions go it would hard to have a better one, and a much needed one at that. You see, though I consider myself fairly stylish, I am by no means a slave to fashion. I am pretty frugal and just wear what I like. But for a long time I have been pretty particular about my hair. As with my fashion sense, I am a sort of chameleon and like to change things up so having a stylist that can accommodate that has been important and I had no problem spending on the high end (especially for men's grooming) for my hair cuts. Last year, my long-time stylist and good friend passed away from cancer. From the time she had to cut back on hours due to her health until now I have had a big hole in my life - that place and person to go to where I felt at home and comfortable leaving myself in her hands. I tried other high-end stylists and for a while now had just gone to a chain hair salon since lacking a skilled hand I wanted to frequent I no longer felt the need to spend that money. That all changed when I went to Stag. I knew I would have to try it sooner or later, to review here if for nothing else. A few years back I had lived literally around the corner form where Stag is in Bay View, located at 3064 S. Delaware Ave, but now I live about 15 minutes away and recently had been sticking close to home. But I was getting tired of the plain old same hairstyle and longed for my old more stylish ways again and had planned to check it out soon. This past week I was about to schedule an appointment when friend said he had been there the night before and loved it so I felt even better about it. To schedule my appointment I started with the website. The one page, basic all-you-need-and-nothing-more site is in many ways appealing - really as a guy what else do you need to know or see about the place? Stag is open Tuesday through Saturday . Their prices are $30 for a Haircut, $25 for a Shave, or $50 for a Haircut & Shave. Depending where you go that may seem reasonable or high, it is less than I had been paying to see my friend before we lost her. I had read some reviews and from my friend's recommendation knew to expect and old-school but modern experience - exactly what I wanted. 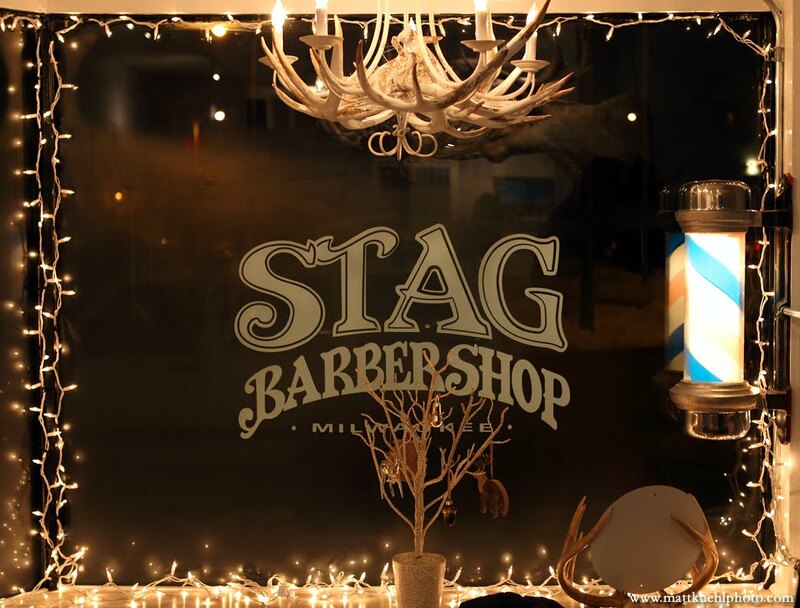 By exploring a little more I learned that Stag opened up in November, 2010 by owner Jessica Stern, a Milwaukee native and an internationally trained precision mens’ barber with over 10 years’ experience. She was also a Milwaukee Brewcity Bruiser Rollergirl. Apparently the barbershop has many tributes to her father, including his picture as the source of the logo (seen to the left). I called an made my appointment and awaited my new experience. The day came and as I entered the barbershop I was pleased to find that it was right up my alley in decor as another example of my futuristic man-style. The bones of the place are simple and modern, but the rest is decorated in rustic, retro embellishments including retro-modern furniture and a deer head, farm implements on the wall and old-school barber chairs and mirrors. I was asked if I wanted anything to drink I -from coffee to beer and even a bloody mary bar. I settled on coffee, then met my stylist and after asking what I wanted done she got to work. Without getting too 'metro' on you, let's just say she did pretty much everything perfectly, exactly as I wanted. When you go from 40-45 minute hair cuts, to 15 minutes, and back to 40 - the attention to detail, professionalism, and yes sociability of your stylist is refreshing to experience once again. 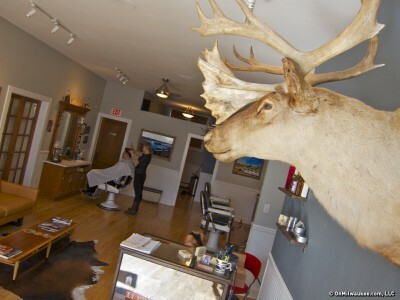 Stag, and the stylist I had, will definitely be my new permanent home for haircuts. I highly recommend it to any man that wants the modern gentleman's barber experience - a perfectly Well-Met experience.